Hello Sound!! 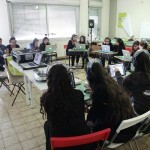 is a software environment based on Processing and on an audio software synthesizer designed to lead kids in their first steps in learning to code. 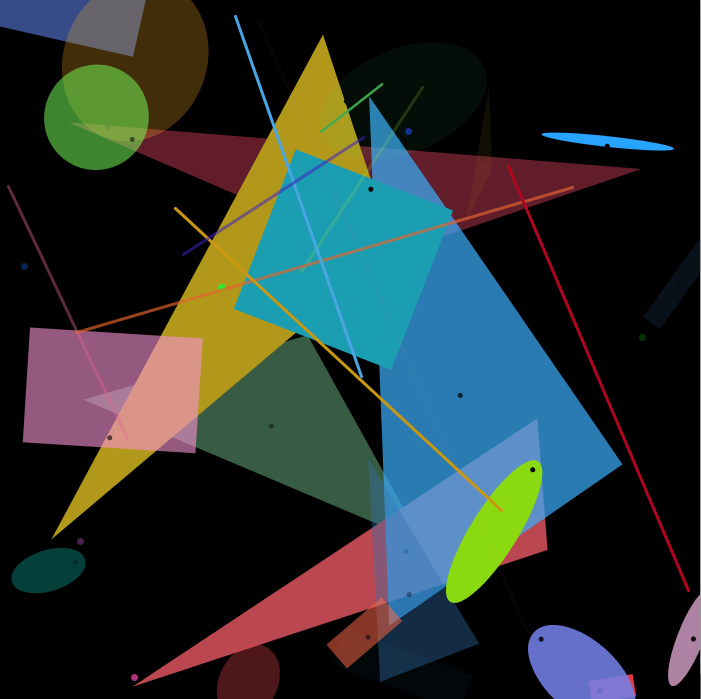 We have empowered some of the graphical Processing instructions with sound generation, so that young coders can easily explore the relationships between instructions parameters, graphical synthesis and audio objects. Furthermore we’ve added some modifiers instructions which allow for controlling color and time evolution of shapes and sounds at the same time. The result is a tableau sonante in which shapes and sounds present themselves in a strict sequence programmed by means of timing instructions. Hello Sound!! 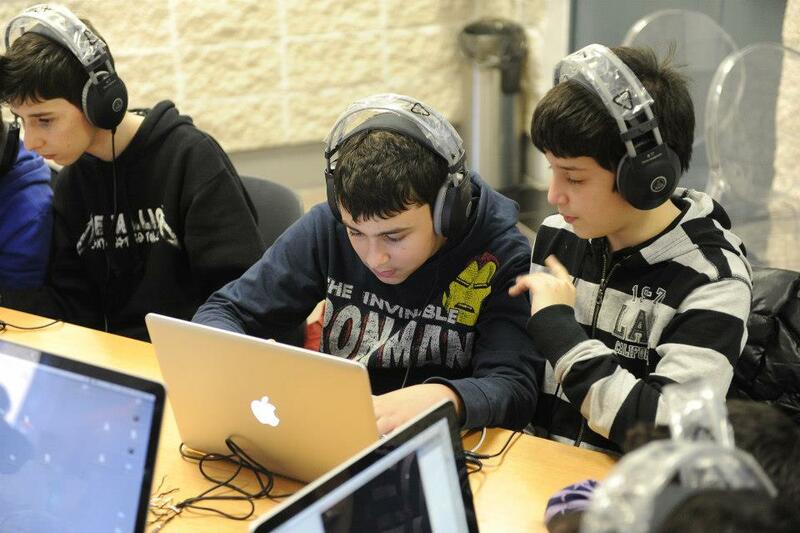 is not only an opportunity to approach coding in a meaningful way, but even – and more – a chance to deepen in the study of visual and sound composition. 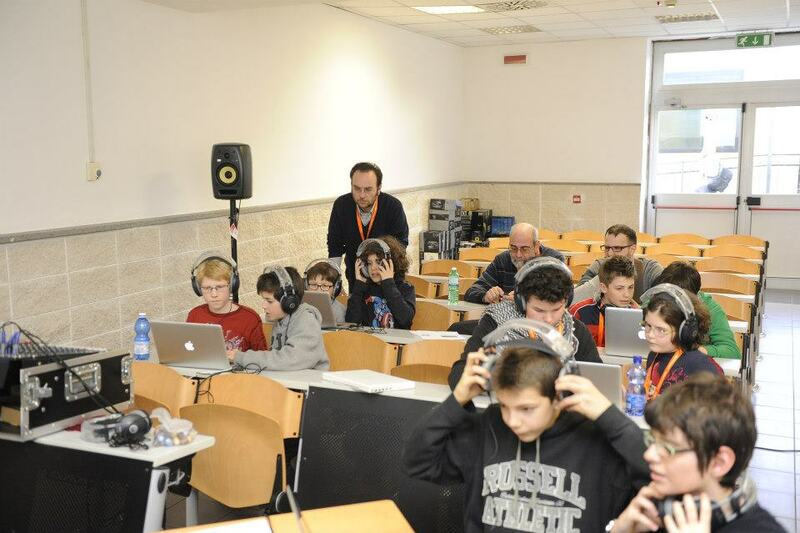 The accurate predictivity of audio-visual events is a continuous challenge for kids who progressively get involved in the organization of their imagination and in the chance to realize what they have in mind. 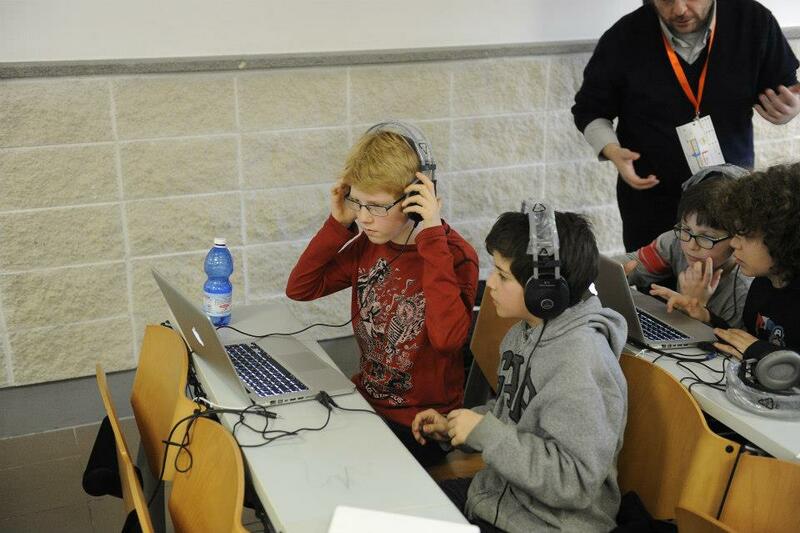 Here follows the playlist of eight works realized by 15 children aged 10-14 at a 3 hours laboratory held on December 14th 2013 within the Hour of Code iniziative, together with CoderDojo Roma.